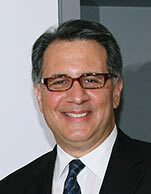 Ted C. Petrone has been Navios Maritime Acquisition's President and a member of the Board of Directors since March 2008. He has also been a director of Navios Holdings since May 2007, having become President of Navios Corporation (Navios Holdings' predecessor entity) in September 2006. He heads Navios Holdings' worldwide commercial operations. Mr. Petrone has served in the maritime industry for 33 years, 30 of which he has spent with Navios Holdings. After joining Navios Holdings as an assistant vessel operator, Mr. Petrone worked there in various operational and commercial positions. For the last 15 years, Mr. Petrone has been responsible for all the aspects of the daily commercial activity, encompassing the trading of tonnage, derivative hedge positions and cargoes. Mr. Petrone graduated from New York Maritime College at Fort Schuyler with a B.S. in Maritime Transportation. He has also served aboard U.S. Navy (Military Sealift Command) tankers.